Marine Entertainment Systems providing crew and/or owners with on-demand movies, music, radio, internet and security camera access. The Lantic Pro System designed specifically for those wanting outstanding on-board entertainment, with the world renowned remote to maximum 7 zones. Standard features include Movies and Music on demand, internet, weather and radio. It can be upgraded seamlessly to integrate Chart Plotter, Radar and CCTV. Additional outputs for Sub-zone installations in areas such as cockpits and en-suites allow music to flow throughout the vessel. 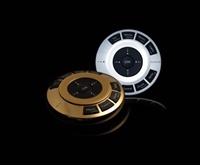 The Lantic Premium System offers the very best in on-board entertainment, using the world renowned remote control and is designed for unlimited expansion. It offers all the standard features of a Lantic Pro Entertainment System including Movies and Music on demand plus the added benefits of CCTV, radar and chart, steward call, weather and internet as standard. Options include AC, blind/curtain and light control plus central playback with “party mode”.